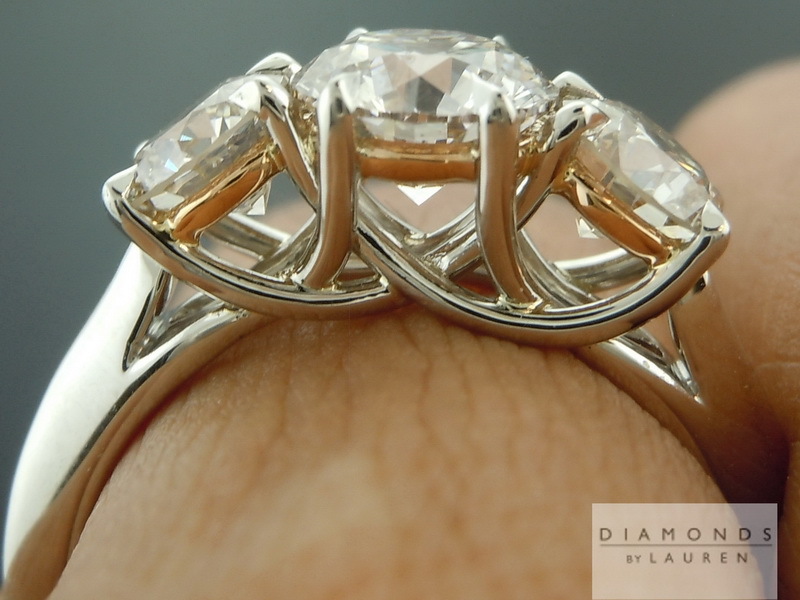 This is our "Uber" underwire ring. It is gorgeous - as close to perfect as one can find. This type of style can be recreated for a fraction of the price using CAD (computer assisted design). This involves making a model and meting the metal, then pouring it into the model. On a style like this, in particular, a super high end hand forged version like ours is a different animal – heads and shoulders above a cast ring. You can see this where the wires cross- and the fact that everything is polished on the inside, and of course the claw prongs. Perfection does have its cost. 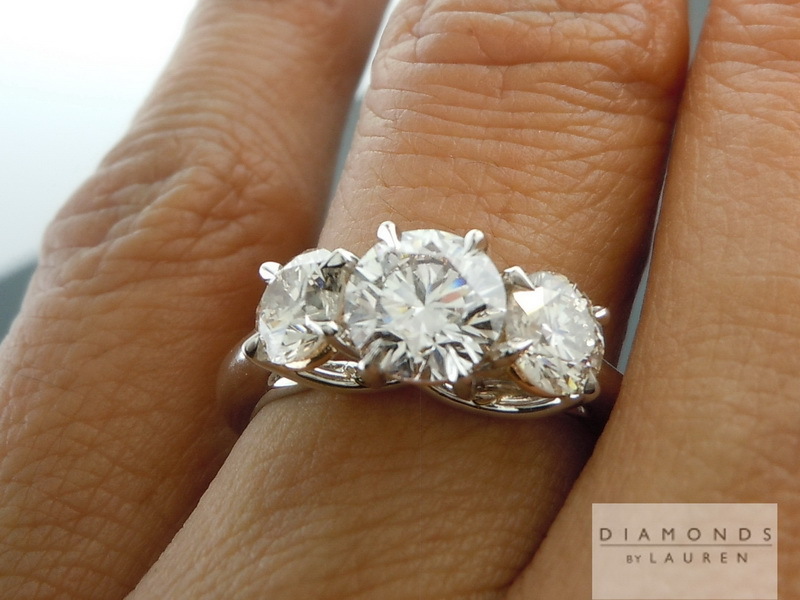 A ring like this accounts for about $5000 of the total cost. 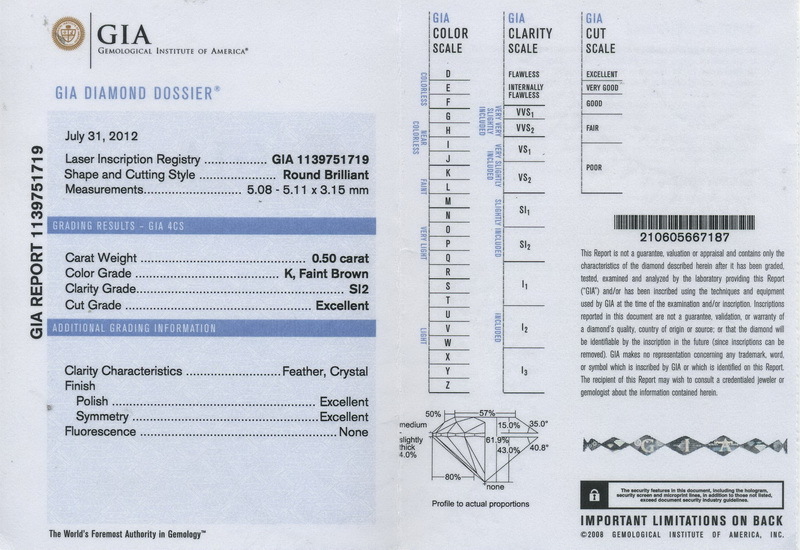 The fact that the ring is "only" the price it is, is due to the economy of the super well cut yet lower color diamonds we used. We spared no expense whatsoever on design and metalwork of this ring. 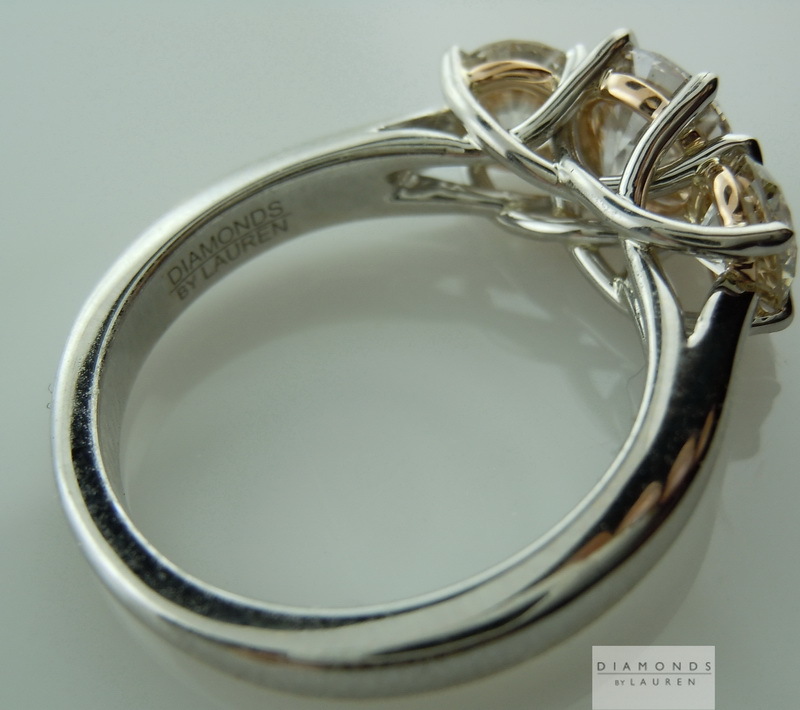 It really feels incredible to the touch – the shank is nice and heavy. It just feels very substantial, and very smooth. 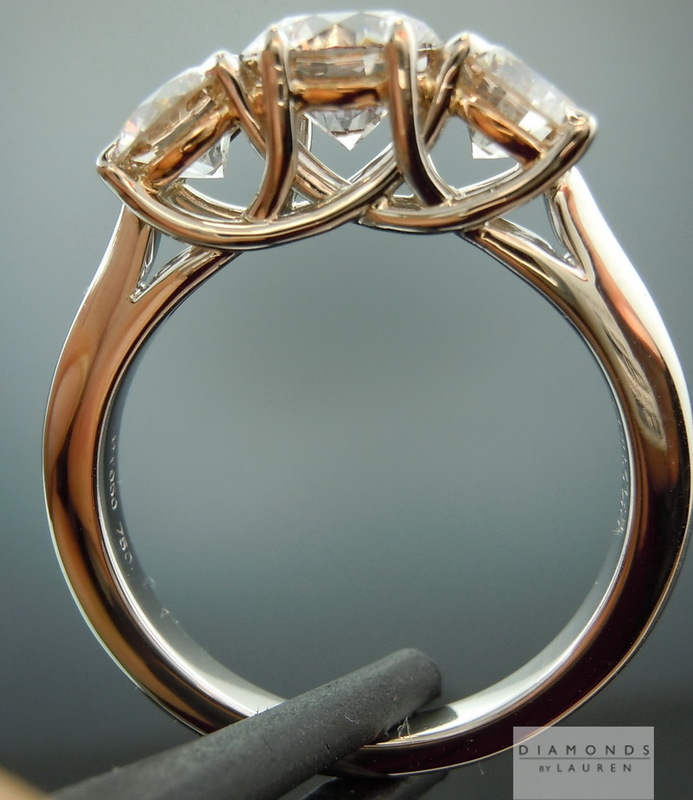 In spite of the fact that there are 12 claw prongs on this ring, you can't catch your finger under any of them. 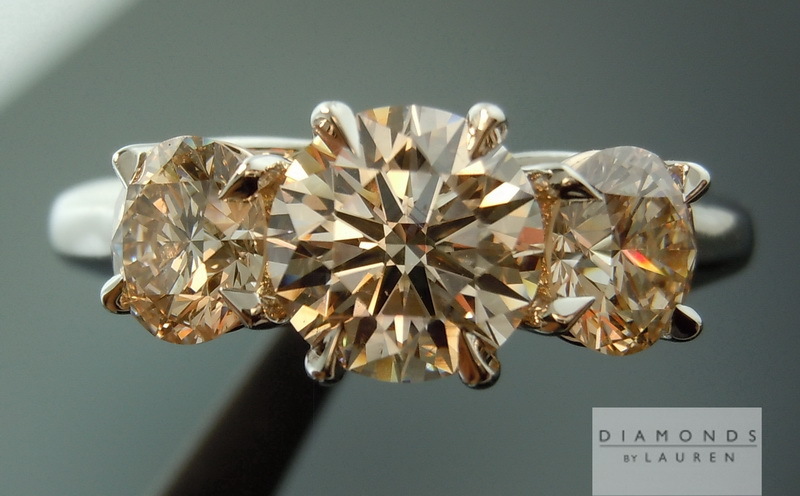 We started with the matching faint brown diamonds. 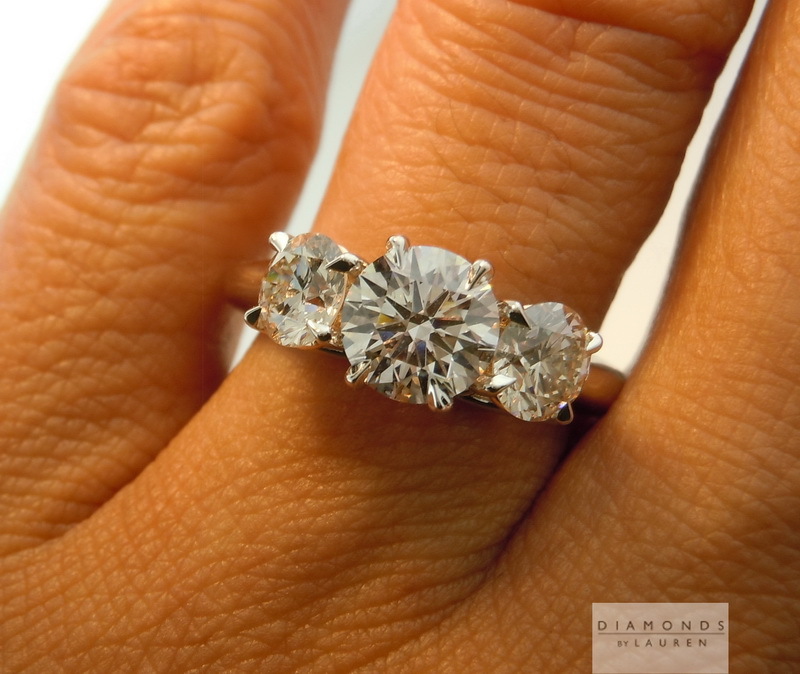 All are gorgeous cuts - GIA triple EX - and all are SUPER well cut, at the top of their class. 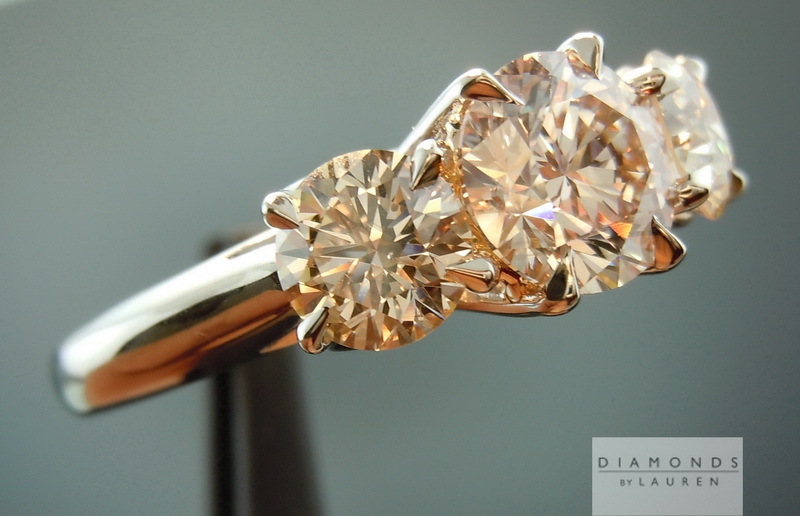 The center stone is a beautiful SI1 clarity. This is a case where the plot makes the imperfection look really bad, yet trying to find the imperfection with the loupe is actually not all that easy – you have to hold it exactly at the right angle. You could never see it with your naked eye. 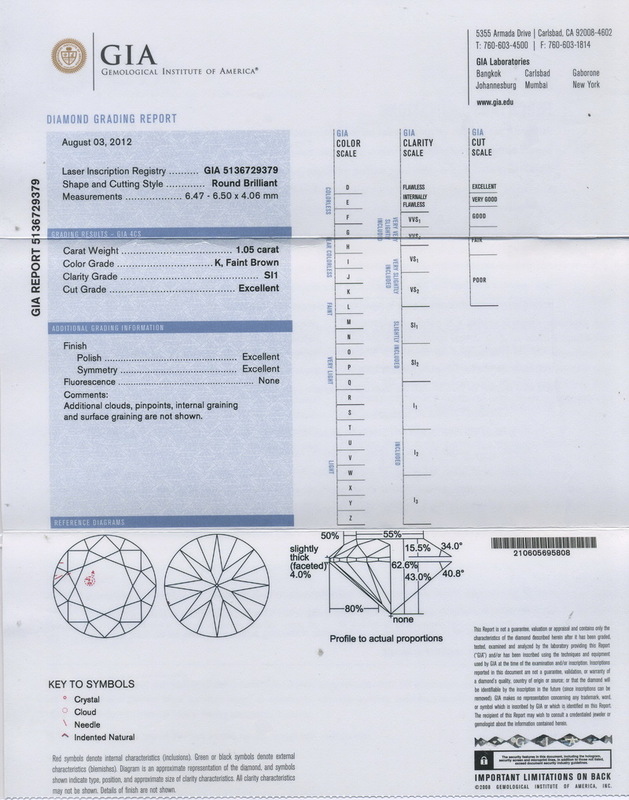 The cutter of this diamond was really paying attention to super excellent cut. 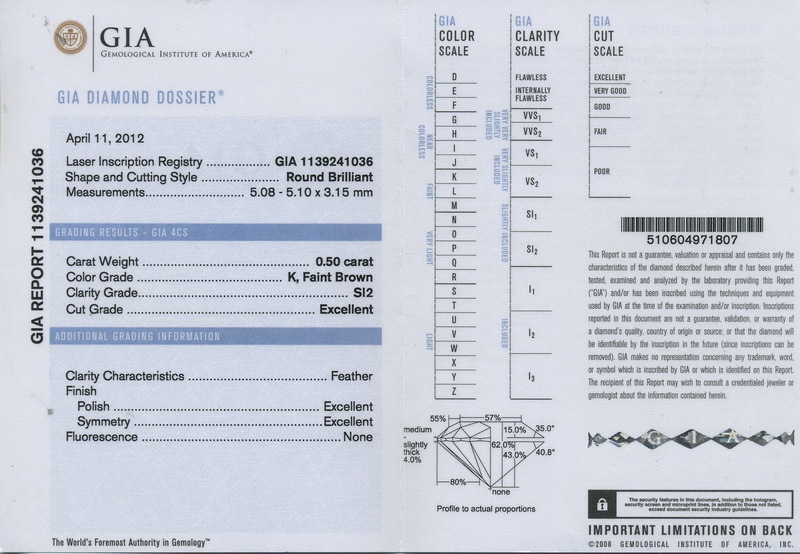 I believe this diamond would be given AGS zero cut grade… In fact all three diamonds would likely get AGS zero cut grades. 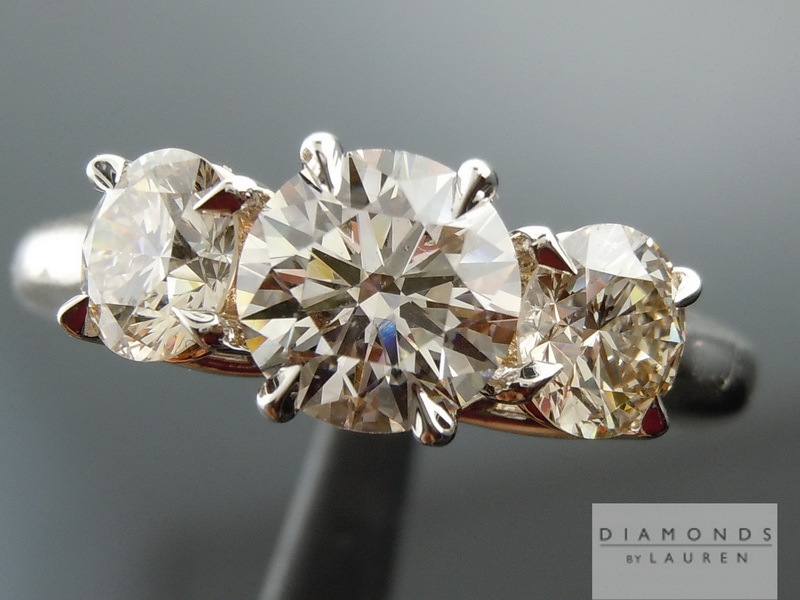 In terms of the side stones, it would be hard to imagine a better match. Statistically these stones are virtually identical. One of the stones is a much better SI2 than the other stone. The stone with the words imperfection might be visible naked eye to someone with very sharp vision in the right circumstances – but is by no means obvious. 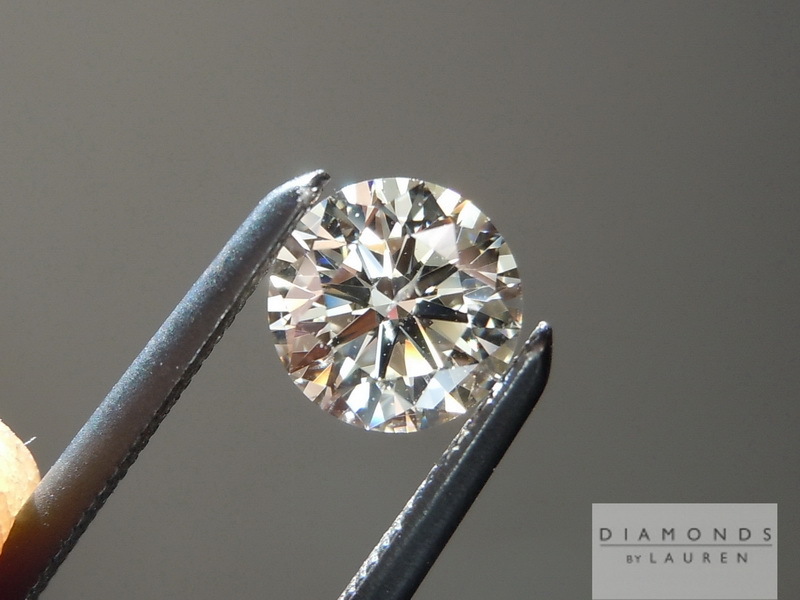 The other SI2 clarity diamond is totally eye clean. 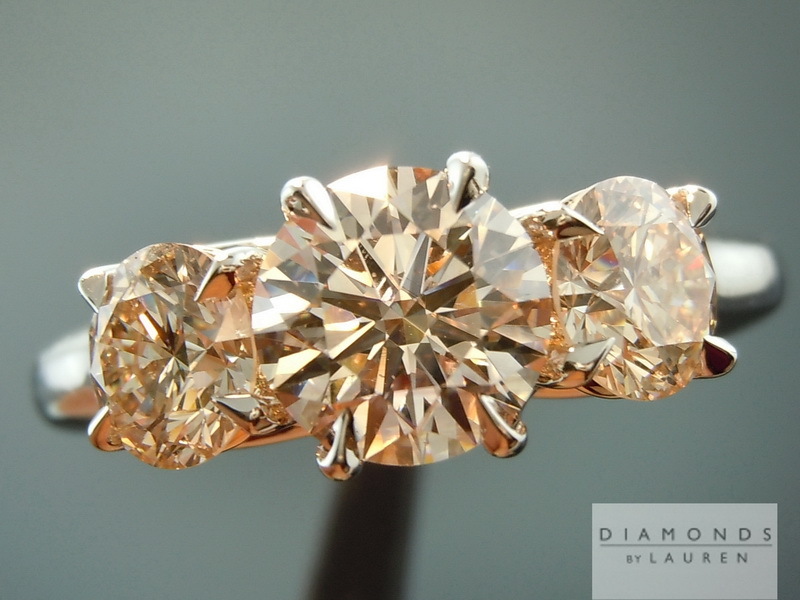 The faint brown color is really warm, yet due to the superb cut of all three diamonds there is a lot of sparkles coming back at your eyes. 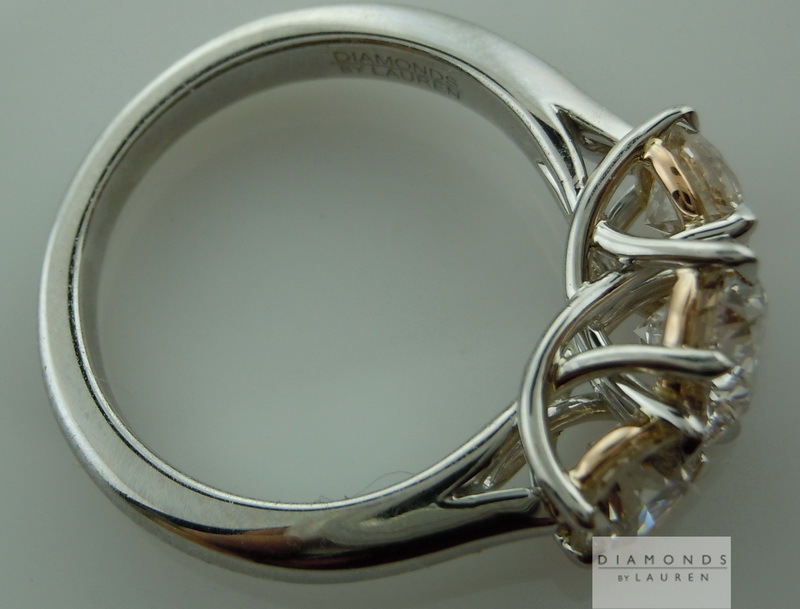 The ring performs exceptionally well in normal room lighting and dim lighting.